The summer months are where it’s at for motorcycle riders. But, unfortunately, it’s also quite popular for drunk drivers. Riders are already at a heightened risk of serious injury due to crash. Introduce a higher number of drunk drivers into the mix? Bikers are put into danger by summertime drunk drivers. This is not to say that there won’t be drunk motorcycle riders on the road as well. But, the ratio is much higher for that of passenger vehicles. 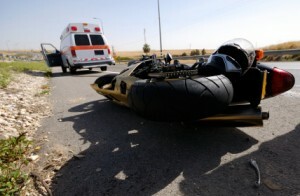 Therefore, there is a much higher risk of motorcycle crash in the summer months. The summer months are the peak of motorcycle riding season. June, July, and August are the most popular when it comes to taking those long trips down the coast. The sun is out; the weather is warm, and it makes perfect sense. Maybe they travel by the beach, the lake, or through the mountains. This is a great time to do so. However, the trouble comes in the fact that the summer is peak time for almost anyone to be in these areas. Not to mention, now more than ever, more people are lax about drunk driving. They spent all day floating down the river, or sitting by the ocean, and they continue to drink. Then, when the time comes to go home, they think nothing of dusting off the sand, and jumping behind the wheel. Of all the months that riders take to the road, this coming summer month is the most dangerous for them. There are plenty of potential reasons, drunk driving being one of the most common, along with the heightened traffic on the roads this time of year. The particular reason for the increase in motorcycle accidents during the month is not known entirely. But there are plenty of reasons that you can assume. From the heightened number of people on the road, to the larger number of out of state travelers, and people unfamiliar with the roadway. All in all, you can infer a lot of reasons why there might be a heightened risk around this time. Statistics show that roughly fifty-five percent of Americans report that they will vacation during July. Of those who will vacation then, most people plan to travel outside of their state. With such a large number of people traveling, there will be a huge increase in traffic on the roads. And as the number of vehicles goes up, so will the amount of crashes. 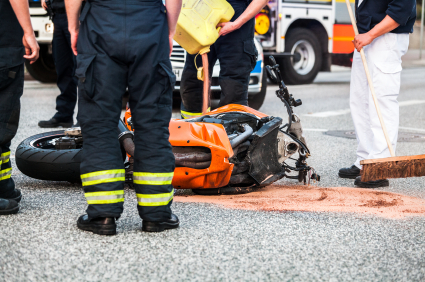 Since July is the most popular month for motorcycles and it is also the most popular month to travel, those factors will cause the number of motorcycle accidents to increase. When it comes to summertime drunk drivers, what better a time than July? Cookouts, celebrations, it’s finally at the peak of summer, and plenty of people you know want to spend every weekend with friends. So, it becomes commonplace to drive on down the street to your friends place without a second though of how much alcohol you’ve had. However, doing so causes great concern for injury, DUI, and making mistakes. While they might like ten minutes down the road, a lot can change in ten minutes. So, drive safe, watch for bikers, and sensitize yourself to the dangers of drunk driving. In the olden days, a person’s first DWI 0f fense usually just yielded them a small fine and a few substance abuses classes. However, with the way the laws are continuously changing, states have upped the anty to some serious and hefty fines for DWIs; even if it is your first conviction. Moreover, depending on what type of license you have ( standard, commercial, or motorcycle) in correlation with your Blood Alcohol Content, penalties for driving or riding while intoxicated are now mandatory. What this means is that the judge has no choice but to impose these punishments. Fines: The judge may order you to pay fines associated with your DWI. These fines are usually levied with whether or not your license has been suspended. The fines can range depending on the severity and circumstances surrounding your specific case, and the judge order the judgment. License Suspension: If you receive a DWI while riding your motorcycle, there is a mandatory suspension of your license in the state of North Carolina for 12 months. Moreover, this suspension will occur upon conviction, arrest, or even refusal to submit to a breath test under the state’s implied consent laws. Community Service: Depending on the level of conviction, community service will be required. It is typically at the judge’s discretion to determine the amount of hours one must serve, typically anywhere from 30-60 hours prior to their judicial review. Common methods for service are highway clean-up crews, working at emergency wards, or washing cars in the motor-vehicle pool. Costs: Not only to you have to pay your attorney’s fees, but you will also be required to pay other court costs, the costs of your alcohol assessment classes, and suffer from lost wages, etc. The Charlotte-Mecklenburg Police Department has just released that one person was pronounced dead in a motorcycle/car collision this past Thursday night on Monroe Road. 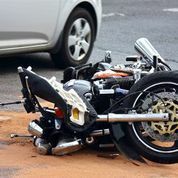 The driver of the vehicle and the motorcyclist were travelling on Monroe Road, near Dunn Avenue, when the 22-year-old motorcyclists collided with a Toyota Camry at the intersection of the two roads. It was right past 9:00 p.m., when the deceased defendant sped through the aforementioned intersection. It was there that he essentially “T-boned” the side of the Camry, injuring the driver. The motorcyclist was pronounced dead on scene at 9:33 pm., when the Charlotte Medics arrived. The driver of the Camry was transported to Carolina’s Medical Center with only minor injuries, luckily. The investigation thus far has yielded that speed was certainly a main factor in the crash. The Charlotte-Mecklenburg Police Departments Major Crash Division Unity has not yet said, however, if alcohol was also a contributing matter. This crash is still being currently investigated, and more details will then follow. When you are a motorcyclist, it is important to understand that you may be exposed to more inherent dangers on the road. The major issue is that a motorcyclist is more exposed to dangers than vehicles because they do not have a protective structure around them. Further, it is more difficult to see riders. A man who was operating a motorcycle last week is now facing a DWI charge after he caused an accident. The accident occurred in Greensboro, NC on I-40. The accident happened after the motorcycle crashed into a bus that was trying to merge onto I-40 around 8 pm. There was another passenger on the motorcycle at the time of the accident. The driver and passenger of the motorcycle were thrown off the motorcycle during the collision. The driver of the motorcycle had to be hospitalized with serious injury. The passenger suffered injury as well, but not as serious as the driver. Neither the driver nor passenger sustained life-threatening injuries. There were 51 passengers on the bus that was hit, none of whom were injured in the accident. The driver of the motorcycle now faces a DWI and driving while license revoked charge. Further details have been released regarding an accident involving a motorcycle in Pender County. An 84 year old man has been arrested for DWI after hitting a motorcycle on Wednesday. The intoxicated driver was operating a van which crossed the median on 210 East. The van then hit the motorcycle which was stopped at a red light. After hitting the motorcycle the intoxicated driver dragged the driver of the motorcycle over 100 feet until the van hit another vehicle. The driver of the motorcycle was pinned between two vehicles. The driver of the motorcycle sustained serious injuries as a result. The 84 year old man who caused the accident now stands charged with DWI, open container and felony serious injury with a motor vehicle. In Pender County, NC a motorist was taken to the hospital after being involved in a car accident with two other vehicles. The accident occurred Wednesday at the intersection Highway 17 and 210 East. The motorist who was injured was driving a motorcycle. The nature of the injuries are unknown at this time. Police have arrested another driver in connection with the accident. The driver was believed to have caused the accident. The driver police arrested is currently charged with DWI but other charges may be pending.